Looking for a care home can be a daunting experience for everyone involved, so we’ve put together this simple guide to give you an idea on what to expect during your visit. First impressions count for everything. And at Chilton House, we want you to feel comfortable from the moment you walk through our doors. The environment at any care home should be warm and welcoming, with members of staff ready to greet you and answer any initial questions you may have. A member of the team should be on hand to show you everything the care home has to offer. Many care homes offer a huge range of facilities so it’s important to have a good look round and see what they have to offer. Chilton House is no different, we have a number of amazing facilities for our residents to enjoy. When you visit us, you will see everything from our Drawing Room where residents can socialise, to the beautifully decorated bedrooms complete with en-suites and profiler beds. Residents can even bring their own furniture so it really does feel like a home away from home. It’s very important to ask questions to guide you to making your final decision, Alzheimer’s Society have a huge list of questions on their website that you can ask during your visit, there is no such thing as a silly question, so don’t be afraid to ask. 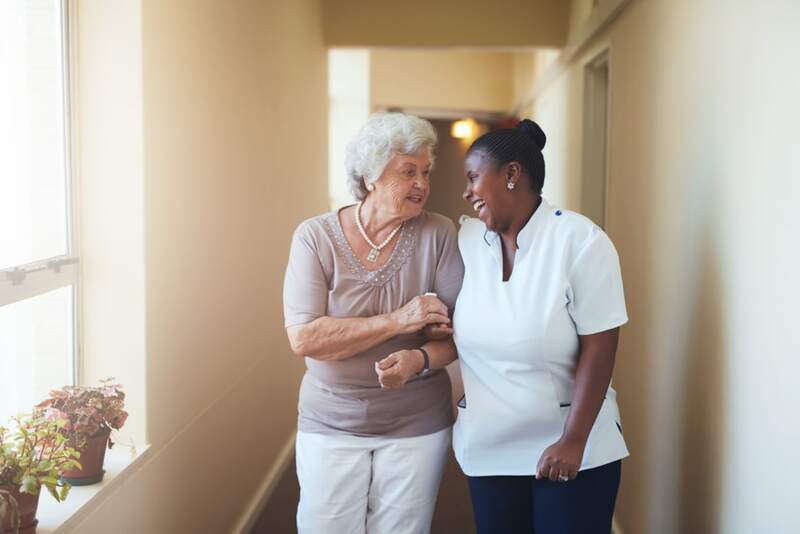 The Care Quality Commission advises that a good care home is effective when: “staff have the right knowledge, qualifications and skills to carry out their role so that you have a good quality of life,” so feel free to ask members of staff about what qualifications they have and the experience they hold. This is also a great opportunity to ask about fees and what is included in the cost, at Chilton House our Guest Relation Team are happy to answer any questions that you may have. What Care Type is on Offer? You need to know if the care home offers the type of care that your loved one needs. For example, Chilton House offers convalescent care, short stay and permanent residency, so it’s important to make sure that the home you are considering offers exactly what you’re looking for. Our aim is to make the whole process as easy as possible for yourself and your loved one, to help you make an informed decision about finding the perfect care home. If you would like more information about Chilton House and the services we provide, or to arrange a visit, click here to get in touch.